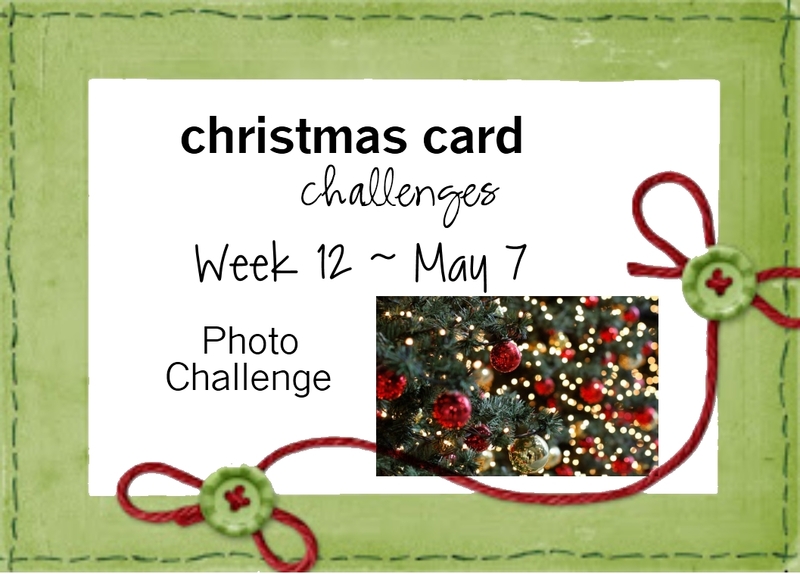 Christmas Card Challenges has a new (and optional) challenge this week. This week's challenge is a photo challenge. The photo is a tree with lights and ornaments. 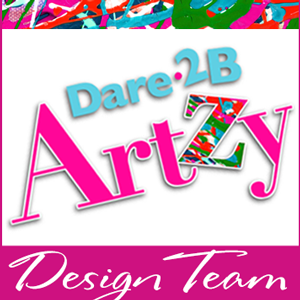 I got inspiration from the lights and the color palette for my card! Ok, it's a stretch, but I *needed* to use this adorable image from Unity Stamp Company! The paper is Kaisercraft Home for Christmas. Thanks for stopping by today! Hope you join us in the challenge! 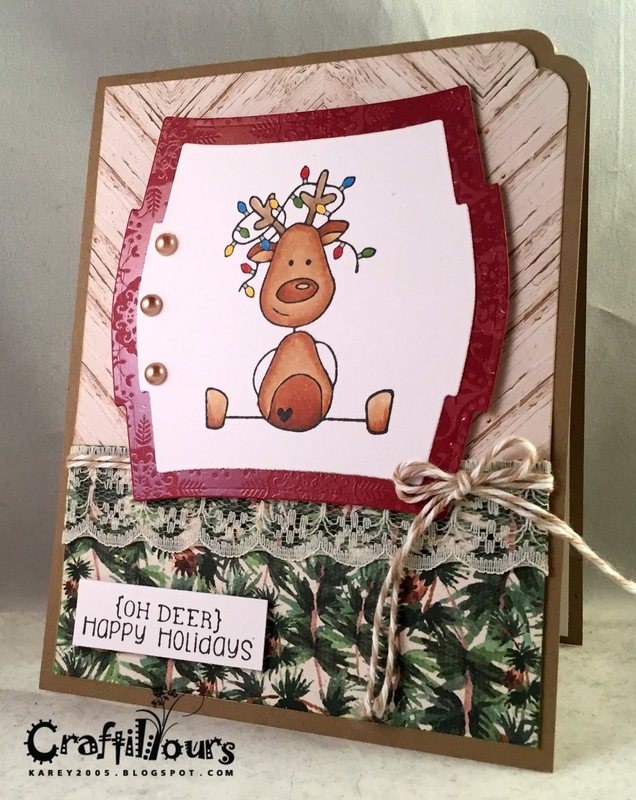 No time like the present to get a start on those FuN Christmas Cards! Oh how CUTE! LOVe that little reindeer image!